Walk with me through the history of Washington’s Shaw neighborhood. Forget the upscale whiskey bars and luxury loft apartments of today. Imagine it as I saw it 1977 when I bought my first home, a rowhouse, on Eighth Street Northwest. The entire block between S and T streets had been renovated and made available to low- and middle-income families through a District home purchase program. 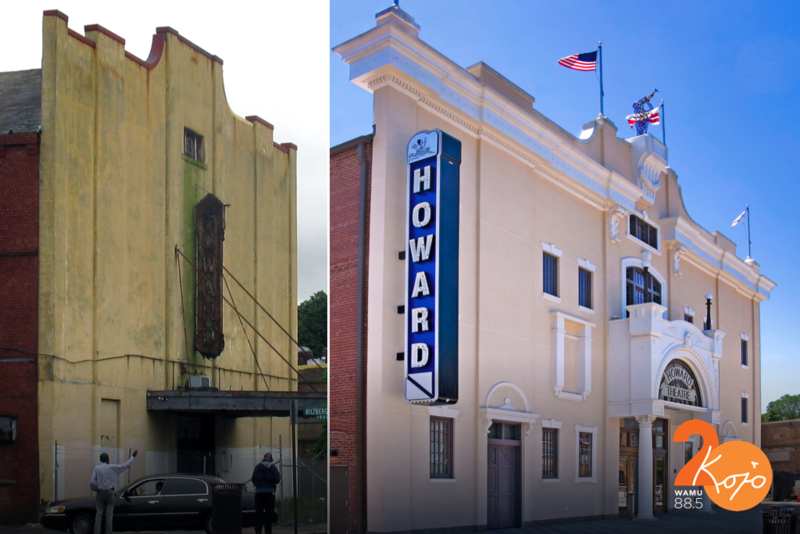 Howard Theatre sits around the corner, Cleveland Elementary School across the street. My late wife, my two sons and I got to know everyone on the block. Some families in the predominantly African-American neighborhood had lived in their homes for generations. Kids played on the sidewalk, neighbors stood outside their closely set homes in the evening to chat. Even the guy who sold bootleg liquor out of the trunk of his car each night made donations to Cleveland Elementary. Then, in the mid-80s, the teens who used to play basketball in a court across the street started hanging out on the corner, and late. Traffic increased – people on foot or driving cars with out-of-state plates. The crack-cocaine epidemic had taken off in D.C., and our block became a destination for people wanting to buy drugs. At the time, I hosted the public affairs program Evening Exchange on WHUT-TV at Howard University, and in the neighborhood, I had been chairman of our block association. Neighbors urged me to talk to one of the drug dealers recruiting teens. I’d noticed the guy, let’s call him Jose, standing around with the kids. He was not from the neighborhood. I sent word through a mutual acquaintance that I wanted to speak to Jose. Soon after, Jose showed up at my house to talk. tied to the neighborhood, they drove their cars around and around the block; they didn’t know where else to go. The neighborhood got rougher and rowdier as the crack epidemic and crew wars mounted. My twin sons tacked a piece of paper to the wall and recorded names of kids they knew who had been killed. When they graduated high school in 1989, the page was full. After I remarried in 1994, my wife and I began to talk about moving. One day, I looked out my bedroom window onto Eighth Street while doing a live radio interview over the telephone about the crack-cocaine epidemic. A man walked up to another man and shot him in the leg. The man who fired the gun ran in one direction, the injured man ran another, and 60 to 70 other people scattered. When the police arrived, everyone had vanished. We finally decided to move uptown to the Brightwood neighborhood in 1997. No more yelling outside the window in the middle of the night; now it was so quiet, my wife said she had trouble sleeping. Shortly afterward, WAMU 88.5 asked me to host a show called Public Interest. I initially turned it down – I already had a job hosting television – but agreed to try it out for a week. That’s when I remembered how much I enjoy radio. You don’t have to get make-up done for live radio. All you have to do is play to your listeners’ imaginations. Radio has so much more intimacy. Over the radio, I am always talking to one other person listening. People watch television in groups, but they tend to listen to radio by themselves. So, I agreed to stay on, and the rest is 20 years of history. The move uptown changed my personal life in one way; it was quieter. But the professional move to WAMU changed my life in even more surprising ways. My years at WAMU have meant a front-row seat, and sometimes a pivotal role, in observing and chronicling a rapidly changing Washington, including my old Shaw neighborhood. In the coming months, look for further essays looking back and looking ahead as we celebrate The Kojo Nnamdi Show’s 20 years at the heart of change.